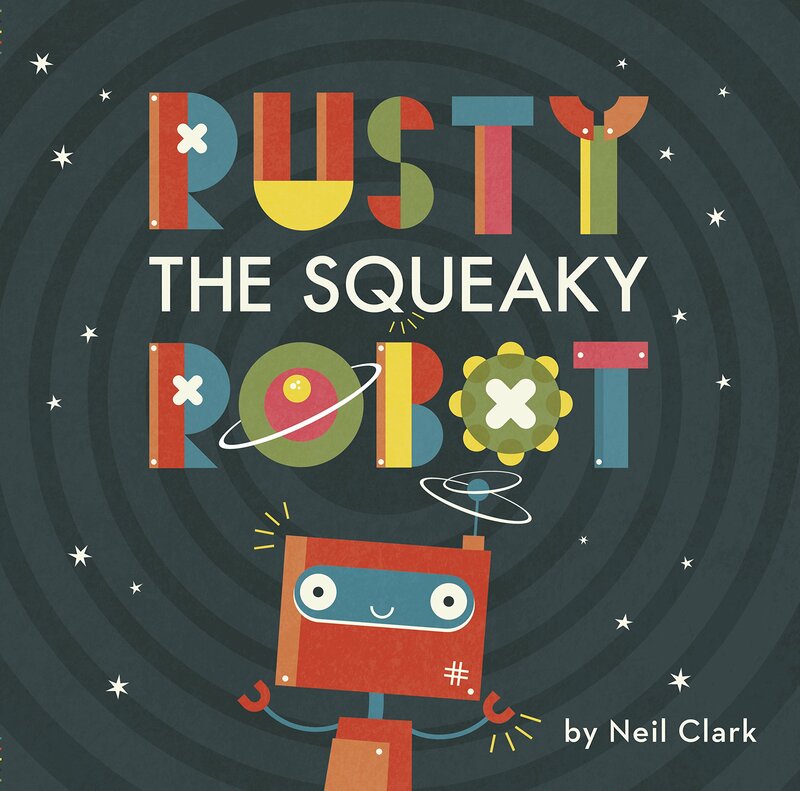 Rusty the Squeaky Robot, Neil Clark, London: Words & pictures, Quarto Group, hb. 978 1 9102 7751 5201 8, 2018, £11.99, 32pp. Rusty, the little robot on Planet Robotin, is unhappy. Wherever he goes, whatever he does, he squeaks. How can he enjoy life when he is unhappy with himself? This enjoyable picture book is aimed at the very young. Bold, stylised, colourful illustrations capture the world in which Squeaky lives – the designs are very reminiscent of the wooden blocks in the toy box. And play and imagination are at the heart of the story. As Rusty travels through Robotin he meets others who each contribute a distinctive sound. Alone they may make a noise, together as friends they create something joyful. Picture books for the youngest need to be shared, to invite participation. This certainly does that with its gentle rhyming, rhythmical text and the encouragement to join Rusty and his friends as they squeak, honk, ding, twang and boom along the way. Here there is an excellent marriage of sound and picture with a contemporary setting that is very welcome at this level. Young readers can quickly become familiar with the sounds of the farmyard and the jungle. Pictures books featuring animals abound. Trains – but nearly always the steam train rather than the electric trains of today – will be part of their world. It is more unusual to find a picture book reflecting the noises of the urban, machine world of today – not to mention the robots that will become important as they grow up.